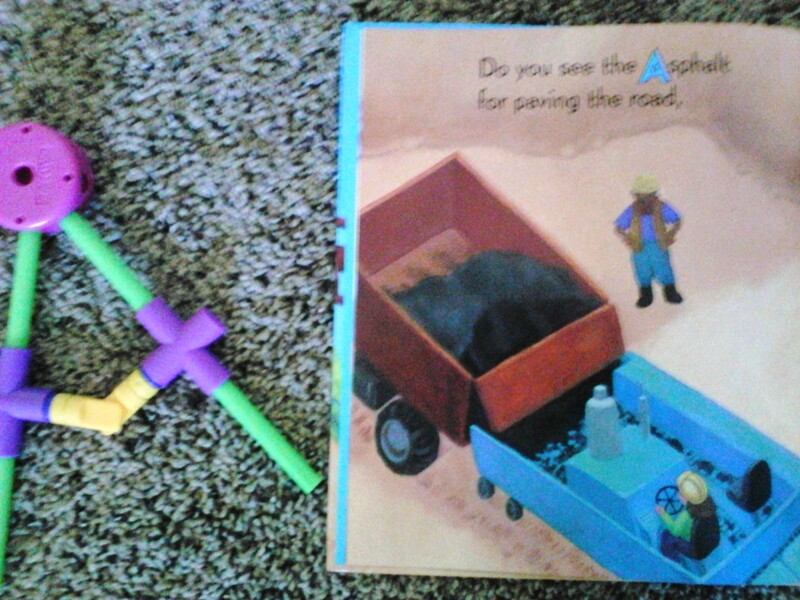 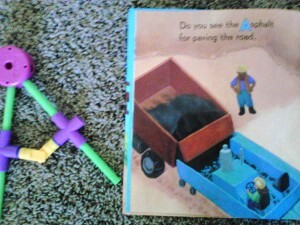 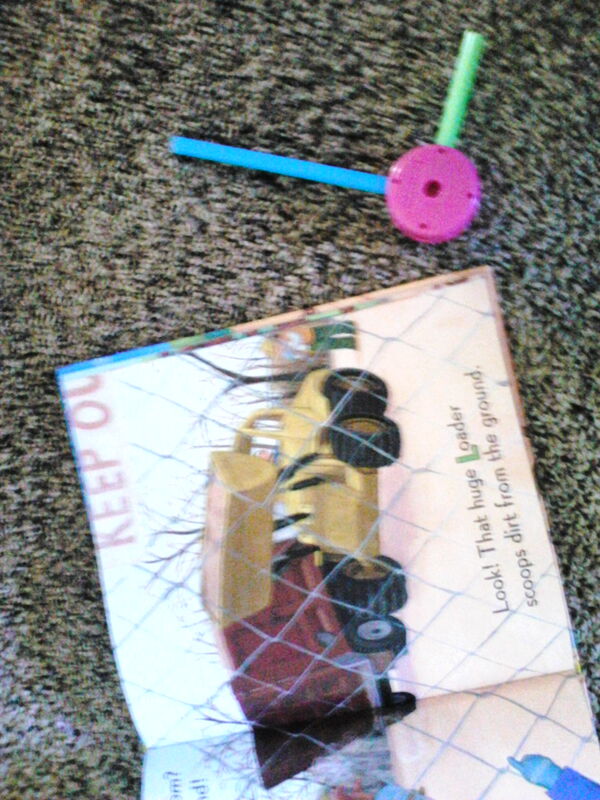 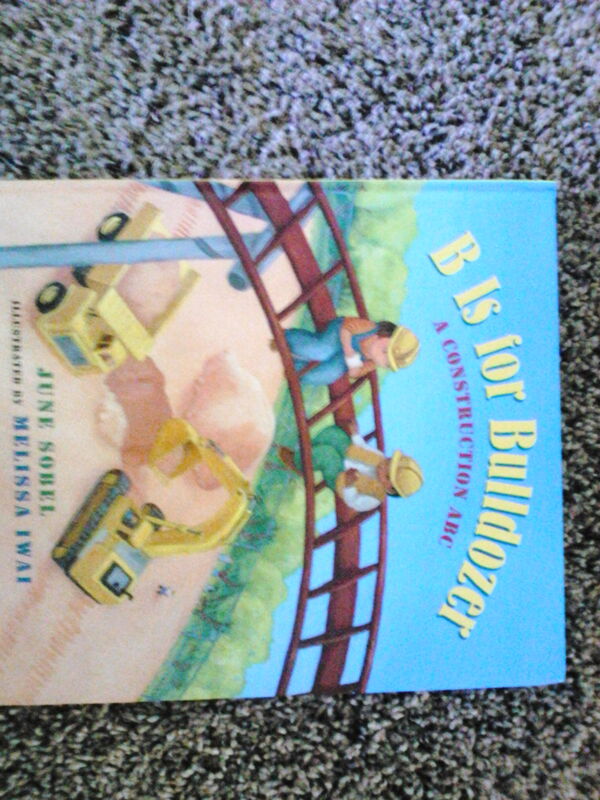 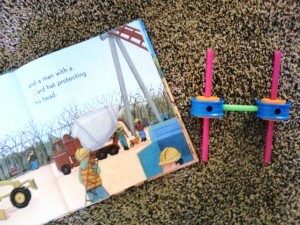 Learning alphabet and letter recognition with the book B is for Bulldozer by June Sobel. 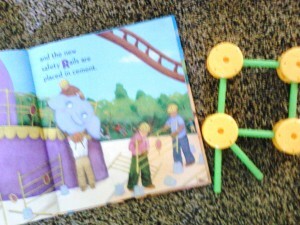 Teacher or parent can help child construct each letter of the alphabet. 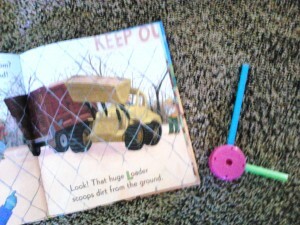 Read story and use letters for each page. 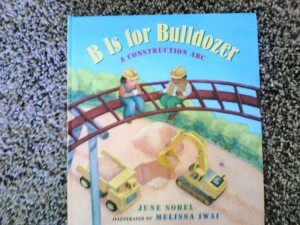 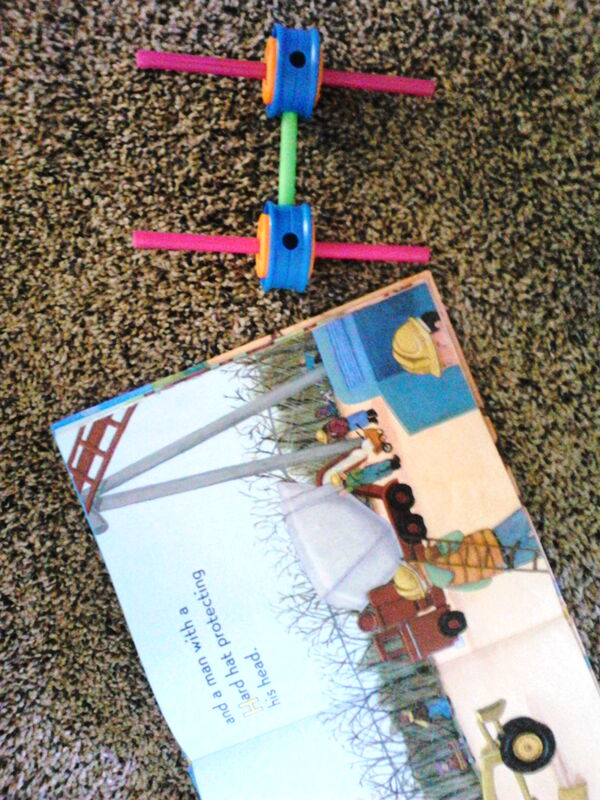 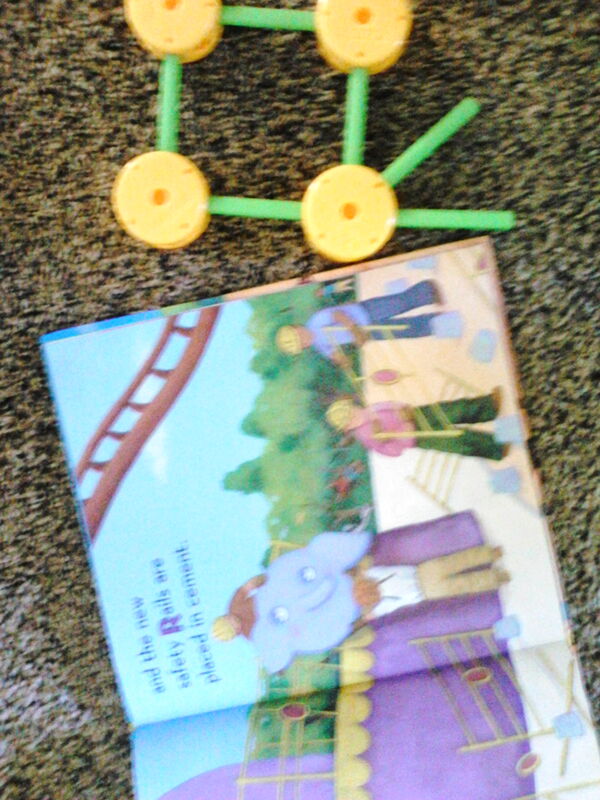 Its a fun book and a fun way to work on letter recognition.